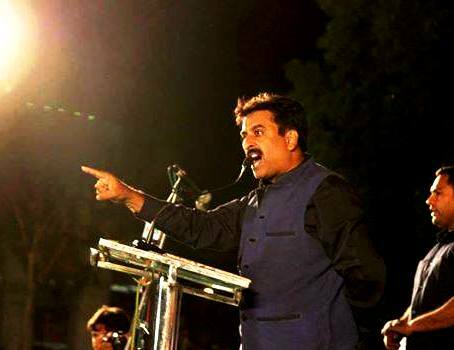 Mumbai : The Maharashtra State Government has finally accepted All India Majlis Ittehadul Muslimeen (AIMIM) MLA Imtiaz Jaleel’s demand for CID enquiry into all Wakf land deals. Minority Affairs minister Dilip Kamble announced in the legislative assembly that the government has accepted Jaleel’s demand and ordered a CID probed with immediate effect. Jaleel had vociferously raised the issue in the assembly saying that wakf land meant for the widows and poor muslims was being gobbled up by land sharks. Jaleel lambasted the government saying that the government has doled out alms to the tune of Rs 300 crore to the muslim minorities of Maharashtra. Instead, it is our demand that entire wakf land in the state be returned to the community at the earliest. Earlier during the week, Jaleel had demanded strict action against the corrupt wakf board officials after a preliminary government inquiry nailed the Chief Executive Officer (CEO) Naseeba Bano Patel and found guilty of ruling a wakf property worth Rs 2500 crores in Nashik as a non Wakf in 2016. The 55 acre commercial property located at a prime location in Nashik belongs to Masjid Doodhwari Katra, Morwadi , Nashik and was donated as wakf land for a mosque by Shah Jahan in 15th century. Jaleel has pointed that wakf lands worth thousands of crores were being illegally sold and encroached upon by land sharks and builders in Nashik and Pune. He has threatened to carry out a street level agitation against the culprit trustees and builders involved in the shady land deals.